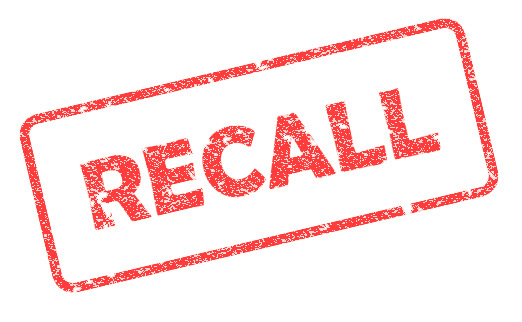 From food to consumer goods to medical devices, it’s an unfortunate fact that several industries deal with recalls as a result of the presence of tainted, defective, mislabeled, malfunctioning or dangerous products in the marketplace. In the device industry, the word “recall” isn’t taken lightly, but some organizations suffer from recall fatigue due to the sheer volume of recalls that can occur on a daily or weekly basis. This can cause an organization to overlook or not respond to a recall in an appropriate manner. While it may seem obvious, establishing a comprehensive and up-to-date recall plan well in advance can be one of the most effective ways to combat recall fatigue. The plan should address all the different aspects of a recall, which, according to Chris Harvey, director of recall solutions at Stericycle, includes the approach for sending out notifications to FDA, customers, press releases, and financial markets; internal and external communication strategies; how the product will be handled; and the recall team itself, which should be made up of various departments and led by a recall coordinator who assigns and monitors the actions during the recall. Having a complete recall plan pre-incident is critical, but actually testing it by conducting mock recalls is just as important. The process can help the team identify gaps and deficiencies within their current process. It will also help familiarize the company and recall team with how to actually execute the recall. “You don’t want your company to dust off a recall plan or be unfamiliar with what they need to do, because you don’t have a lot of time to move [during a recall],” says Harvey. Data. Tracking data is an important part of the recall lifecycle process. How are you collecting data? What is your process for disclosing the data to FDA? Special requirements. In some cases, a recall involves a particular defective component. Are you aware of the regulations surrounding the component? Harvey uses the example of a defective lithium ion battery, the shipping of which has special packaging and labeling requirements due to Department of Transportation regulations. Being cognizant of any special regulations or requirements involving product components will avoid delays when executing a recall. With many processes that involve FDA, communication is always an important practice. Harvey advises that companies familiarize themselves with their FDA district coordinate before an issue occurs. Identify him or her, and then make the phone call. Establish a relationship so that you know exactly what the agency will be looking for and what questions it will be asking in the event of a recall. What are the reporting requirements for device manufacturers? (This can be found under 21 CFR 806, and manufacturers are required to report to FDA within 10 days of taking recall action). Harvey also recommends giving FDA a copy of your communication plan with the objective of getting feedback from the agency (they can provide valuable insights on whether you’re overlooking anything). Monitoring the effectiveness of a recall all comes down to having good data and making sure that there’s a system in place to effectively capture and report it, says Harvey. With all the different steps during a recall (sending out notifications, collecting responses through a call center, website or reply form, collecting product back, and doing remedy management), there are several data points. “FDA requires manufacturers to submit progress reports typically on a monthly basis,” says Harvey. “You should always have a good idea of where you stand with the effectiveness of the recall.” Some tips include having good documentation, especially around the status of notifications (monitoring parties that have or have not responded to a recall, and then placing outbound calls to non-responders); and performing on-site effectiveness checks by going into hospitals or retailers to ensure recalled product isn’t still on the shelves. The last decade has brought more interaction between the device industry and FDA related to conducting health hazard evaluations, but companies continue to face obstacles.